Reflections of a Grady Doctor: Ribbons. *some names and minor details changed to protect anonymity. . . . yeah, yeah, you know. "This is not a coincidence. ~ Stevie Wonder in "A Ribbon in the Sky"
I walked into a room today to see a patient that I'd never seen before. Well, I take that back. Technically, she was like many patients I've seen before-- a middle-aged black woman with some of the most "bread and butter" medical problems you can imagine. Diabetes. Hypertension. High cholesterol. Oh, and "a little extra weight." That said, even though I had seen all of her problems before, it was true that I had never seen her. And so. Moments before entering her room, I'd quietly listened to this senior resident presenting her case. It was fairly straightforward. A follow up visit for all of those everyday problems, all of which seemed to be under excellent control. I found her still sitting on top of the examining table where Farrah, her resident doctor, had left her before coming to get me. Her spine was as straight as a ruler and her hands were resting calmly on her lap. "Good morning," I greeted her. "My name is Dr. Manning and I work with your doctor. We were just putting our heads together a bit about you and I wanted to come and meet you." "It's a pleasure to make your acquaintance," she quickly replied. A pleasure to make my acquaintance? I loved the formality of her voice and the silky quality of it. Despite her nearly seven decades of talking, her vocal cords show no evidence of wear and tear whatsoever. No crackling sounds reminiscent of old 45's spinning under nickel-weighted needles. No gravelly hoarseness or wobbly tremulousness. Just this buttery smooth sound floating from her lips like silky ribbons in the sky. The pleasure was all mine. Already. She reached her hand out and shook mine firmly. With her perched atop that table, that hand shake brought me directly into her personal space. Neither of us seemed to mind, though. As I closed my fingers around hers, she erupted into a smile. A big, beautiful smile surrounded by nothing but confluent espresso-colored skin. And that skin was void of even the tiniest signs of aging. Not a single age spot, crinkle, or wrinkle in time to save nine at all. Surprising that there weren't even any laugh lines considering how wide and easy that smile came on. "Now that's just not fair. You have, like, NO wrinkles whatsoever!" Yes. Although I had just met her, this is exactly what I said to her. That handshake welcomed me to say such a thing and that smile reassured me that this would be that kind of interaction. And it was. "You know, my dear, I have been seeing Dr. Farrah for almost three years now. She has taught me how to eat and take good care of myself. I suppose it shows in my skin." And with that she looked right over at Farrah and beamed. She said those words sincerely, too, and focused on Farrah's young face with eyes so sure that no one dared refute that compliment. "Well, it certainly does. And yes, Farrah is one of our very best." "I would agree," she replied in that same liquid-smooth tone. And then she added, "Dr. Z is wonderful and a blessing to me." So we chatted a bit more about things fully unrelated to her health, mostly because I was so enthralled by her voice. Next, we moved on to address a concern that she'd been having. She explained that while she wasn't very worried about it, it was important to mention things to her doctor. That is exactly what she did. So she talked and we listened. Then, based upon what she had told us, Farrah examined her as I stood beside her observing. And since Farrah is a senior resident with exceptional interpersonal and clinical skills this was all I needed to do. I quietly listened as Farrah then negotiated a plan with her patient--one that was inclusive of her patient's thoughts and not just ours. Farrah escorted the patient off of that exam table and over to the chair beside the desk. At this point, I was beginning to feel like a bit of a third wheel. I prepared to bid this lovely woman adieu. Taking her hand again, I told her exactly what I was thinking. "It has been a pleasure meeting you. A real pleasure." Because that is what I was thinking. It was truly a pleasure. She smiled gently. And in that moment I imagined that every time she smiled, some kind of angel was churning that buttery voice in preparation for her next word. "I love Grady," she said. "Grady doctors saved my life so I will always have loyalty to Grady." She said these words while still holding my hand. And I am so glad she didn't let go. "Back then--the first time I came here--I had no insurance. I had been at another hospital and they were nice but sent me here. The Grady doctors carefully looked at my films and then did some biopsies that the other hospital told me I didn't need. That is how they found cancer in me and that was almost twenty years ago. They saved my life." "Wow." I sounded like a broken record, but that was all I could think to say. She went on. "I do have insurance now. And I will still keep coming here. I will." Again that smile. That big, beautiful smile. "Well, I'm glad because that way I can learn all of your skin secrets!" I teased. We all laughed. "You know," she spoke with her face growing serious, "really you just need to be kind to people and not hold onto a lot of anger. Anger comes out of you. Makes you ugly and ages you. Just let things go. Grudges, pain, wrongdoings." Farrah and I quickly caught each others' eyes. I could tell she loved the richness and regal quality of her voice, too. "Don't dwell over who did what to you. It will make you older than your years. You must make that decision to not harbor things inside." And like that same 45 skipping like the nickel fell off the needle, I repeated that same word a few more times. "Wow. Wow. Wow." Because that's what I always say when I hear "a good word." "Oh, and get your rest. Getting rest is important, too." I smacked my forehead playfully and said, "Sleep? Uh oh!" Farrah laughed at my response to that piece of advice and feigned a worried expression. Her upcoming Cardiology fellowship would make this one hard for her to follow, too. "You know? People need their rest. Like how sometimes your kids don't want to wake up? Sometimes just let the babies sleep." Now she was pointing her finger for emphasis. "Sleep is important. The body needs rest and you have to give in to that. Let them sleep in sometimes. The children. And you, too. Not on a school day, of course. But other days relax a bit. Allow everyone some rest. It keeps you young." And I just sat there with Farrah taking it all in. The wisdom, the advice, and all of the ribbons in the sky she had to offer us. I held her hand once more because she let me. And then, I excused myself from the room. "If allowed, may I touch your hand? So that you, too, will understand. . ."
You know? There was nothing unusual about that encounter at all. At all. But for some reason, just writing about it has brought me to tears. I guess it's because getting to do this--to step inside of people's lives if only just for a few moments--is such a tremendous honor. Sigh. . . I know, I know. . . . it sounds so sappy and cliche to say that, but. . .it's true. It's so true. I mean, this was just one moment with one patient. Just one. And I get to do this all the time. Every day. So I guess that's why I'm feeling so full right now. Because I don't take this lightly. I don't. And you know? Just sitting here at my computer recalling this one little snippet in my morning has pushed those tears straight onto the edges of my lashes. "Being a doctor and having the opportunity to share in patients' lives is definitely the highpoint of my professional life. . . ."
And she, a former Grady doctor, has said this kind of thing to me many, many times over. . . . marveling at the awesome amount of trust that human beings must put into other human beings for this whole doctoring thing to work. And how important it is for us to stop and think about that sometimes. All the times, actually. So maybe I have seen patients who look, at least on paper, a lot like this patient. The diabetes, the high blood pressure, the high cholesterol and those "extra pounds", too. And sure, maybe I have seen black-don't-crack skin before and smiles that melt my heart, too. But whenever I slow down and really savor what is unique about each and every individual--and see that meeting as an opportunity and an honor--it's always like a brand new adventure. This time? A speaking voice poetic enough to rival Miss Maya Angelou herself. Oh, and a loyalty to Grady built on a testimony that preceded her young doctor and the one supervising her. And especially a song in her heart made up of peaceful notes that floated from between her lips . 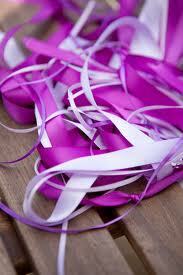 . . .unexpectedly creating ribbons in the sky of that clinic room. All before 10 o' clock in the morning. You know? I'm not sure if this is a coincidence. . . or even if it's far more than a lucky chance. But either way? Man. I'm just glad to be here. Now playing on my mental iPod. . . . Mr. Stevie Wonder singing "A Ribbon in the Sky." *sidebar random thought: I wonder if someone reading this is waaaay too young to have any idea what is meant by "a nickel-weighted needle playing a 45?" Like, do people under 30 (other than Jameil-the-old-soul) even know what a 45 is? LOL! I know what a 45 is but not a nickel-plated needle. I'm guessing that's what's on the record-player. I'm going to obey her and get some good sleep tonight! And don't even get me started on grudges. Deeep sigh. I always always need help on those. When I make documentaries, I feel the same way: so SO grateful that people who don't even know me are willing to open up this part of their lives to me for a few hours. Pretty amazing. Despite her nearly seven decades of talking, her vocal cords show no evidence of wear and tear whatsoever. No crackling sounds reminiscent of old 45's spinning under nickel-weighted needles. No gravelly hoarseness or wobbly tremulousness. Just this buttery smooth sound floating from her lips like silky ribbons in the sky. Your writing touches my heart. You are a special soul to capture the subtleties of life with such tenderness. I wish you were everyone's doctor. You are amazing. Jameil -- Umm. . .that's nickel-weighted. . excuse me! Ha. It's when you put a nickel on top of the head of the needle of the record player. . .as a a weight. . .to keep it from skipping. 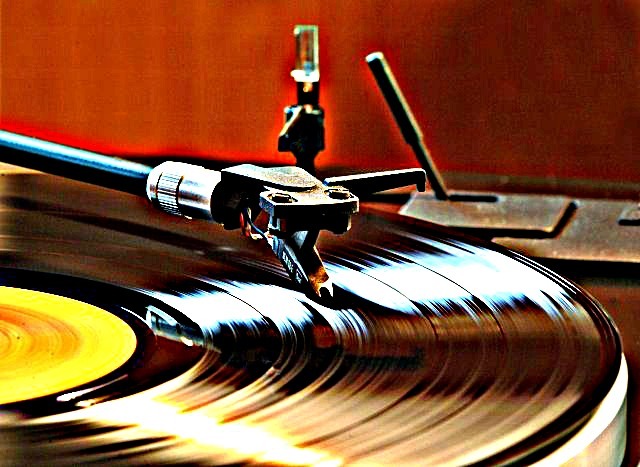 Back in the day, it was the only way you could avoid having the record skip. . .what you know about that? You have posted some wonderful tear-jerking pieces, but this one just reached down into ole Poopdeck's soul and pushed the gusher button. I'll simply say "INCREDIBLE" and leave it at that! There is a great, great blessing and a sense of peace I get here, reading about your elders. They manage to nestle in my heart and provide comfort, encouragement, they are like figureheads on the boat, brave faces in the waves and wind. Thank you for writing of them and so beautifully. You know, I come here every day to see what soul-inspiring post you have waiting for us. Every time I see a new post, I am excited and torn between wanting to read immediately or wait until I have the time to really savor your words. I usually can't wait and gobble up the inspiration immediately. However, I never leave a comment to let you know how deeply your writing touches me, and I want to rectify that now. You truly inspire me and get my day off on the right foot. I always leave your blog better than I came to it. Thank you for blessing all of us with your wisdom, your kindness and goodness, and your wonderful way with words. You are teaching me to savor the small things in life, to pay more attention, and to appreciate more and not take so much for granted. Again, thank you. Great post. Love the part about letting go... Hopefully that will save me from a few wrinkles!! I hope all is well with you and the boys. long time lurker here. Thanks for writing and please continue. I saw this article (link below) and was rather curious about your thoughts. One of the takeaways I have from your blog is your sensitivity and attentiveness to communication with patients. Thanks again for your insightful and heartful/heartfelt writing. Sigh. What a wonderful post. I can feel it. Thank you.